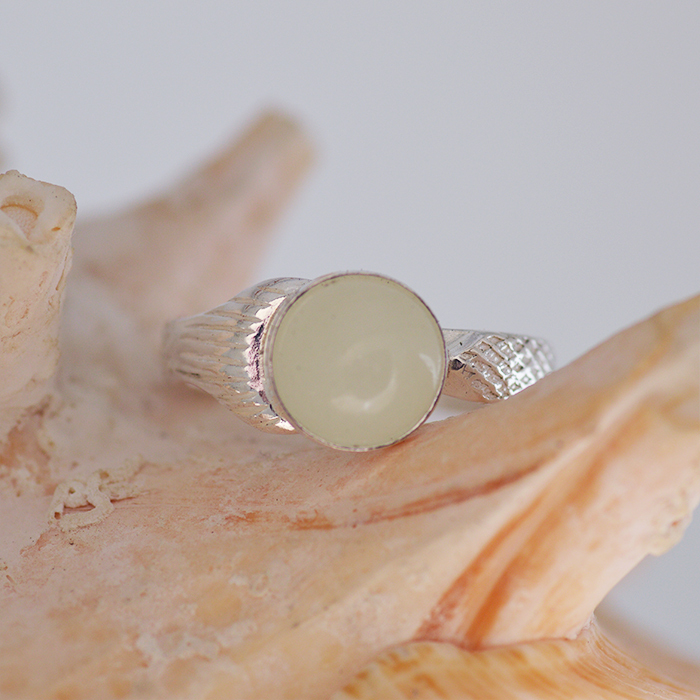 This is an handmade sterling silver .925 solid ring featuring a wrap around mermaid tail with round A GLOW IN THE DARK cabochon in the front. A perfect addition to your H2O collection or great as a gift to a fan of the tv series. FREE VELVET SHELL BOX INCLUDED WITH EACH RING, FREE SHIPPING ON ADDITIONAL PIECES! 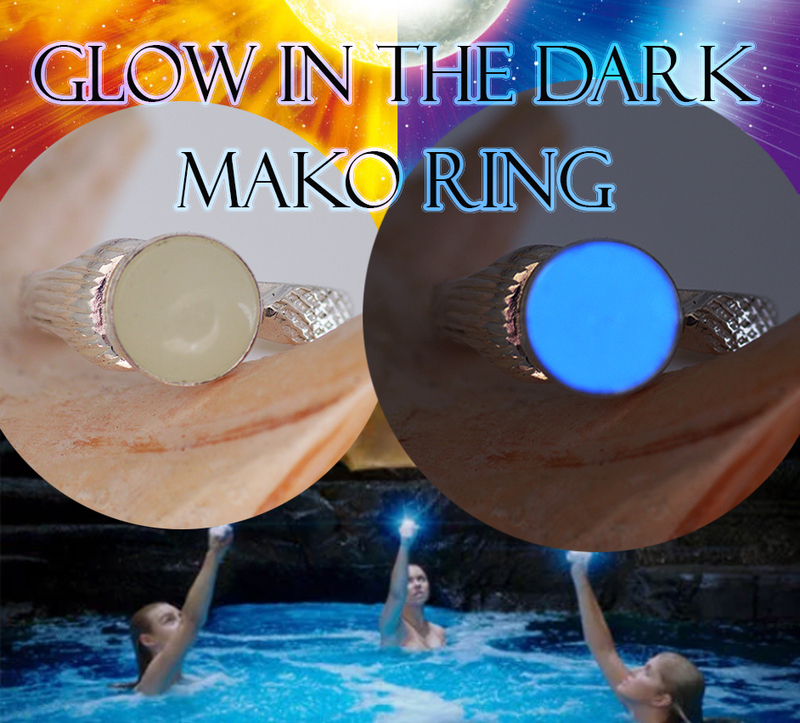 Our rings are all handmade one-by-one by a jewelry artist in Canada, we size and handset each stone. Each ring is handpolished & packaged in beautiful velvet shell boxes. 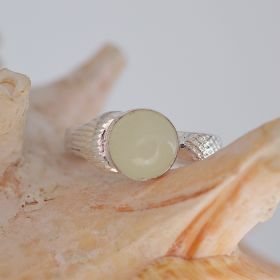 The cabochon will look off-white during day, but wait till it's dark and it will show you it's true magic! Our glowing cabochons can be charged as many times as you want for many years.When your item is fully charged (about 30 min. 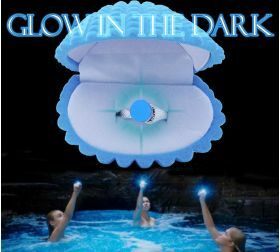 under a UV light) it will give brightest blue glow for about an hour and than it will fade out slowly. We also make these mako rings with a large variety of genuine gemstones see our other listings! Yes we also make the h2o lockets and season 3 crystal necklaces! Our jewelry is made in Canada & shipped from Canada All NAFTA friendly products so no customs within Canada & USA. All our packages are shipped Canada Post with insurance and online tracking number.